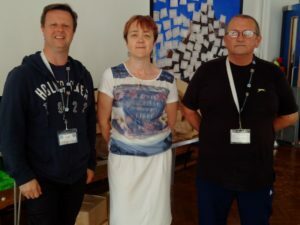 Thank you to the Pret Foundation who visited the Night Shelter 2019. 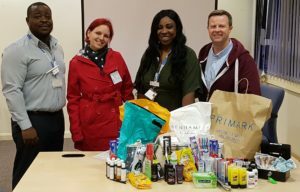 Harrow Job Centre raised funds and dontated items for our shower packs. What a fantastic bunch you are! Harrow‘s Mayor shows her commitment to highlight homelessness as she sleeps out for the Mayor’s Special Appeal. 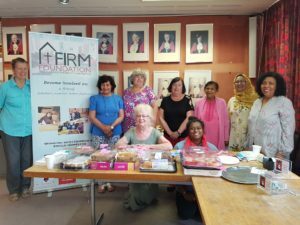 FirmFoundation were happy to organise the event. 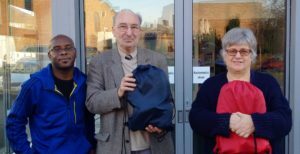 FirmFoundation were joined by Harrow‘s Mayor, Leader of Harrow Council, Council employees and some of FirmFoundation’s clients for a sponsored SleepOut in front of the Civic Centre. FirmFoundation with Gareth Thomas MP for Harrow West. 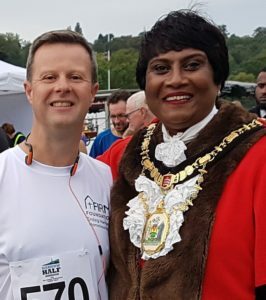 Good to see Harrow’s Mayor as the Harrow Half Starts. 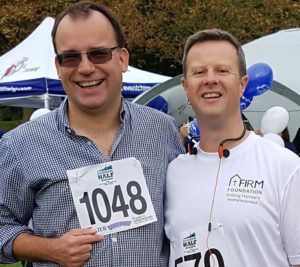 Great to run with those supporting FirmFoundation in the Harrow Half Marathon. 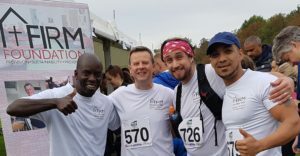 Thank you to all of you who ran for FirmFoundation in the Harrow Half Marathon, some of whom are pictured here. It was a great day with people out to support through the 13.2 mile course. Well Done! 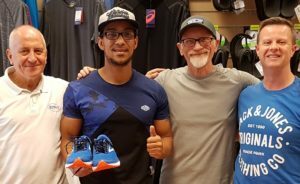 Thank you to Runners World in Eastcote who have provided one of FirmFoundation’s clients with trainners as he gets ready to run the Harrow Half Marathon in aid of our charity. Fantastic support! 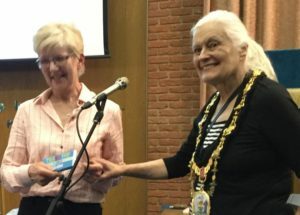 It was a pleasure to be part of the Mayor‘s fundraiser for her chosen charities. The doughnuts went down well at Harrow’s Civic Centre’s Member Lounge! 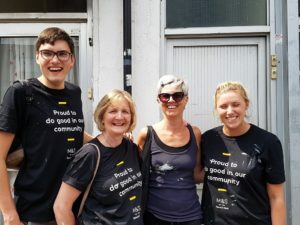 Marks & Spencer in Pinner sent a team to paint Hope Place (FirmFoundation’s supported accommoadtion). Here is a picture of some of those who persevered through the heat to make Hope Place special for our guest. You are all amazing and we have enjoyed working with you. 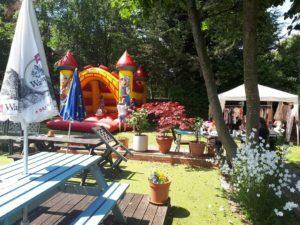 Well done and thank you to Charlie Loong and her team for a wonderful fun day which raised money for a number of charities including FirmFoundation. 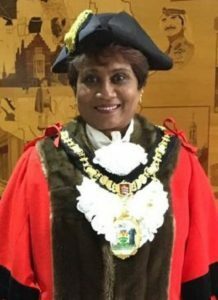 Mayor Kareema Marikar has chosen FirmFoundation as one of her two charities for her Special Appeal’s. 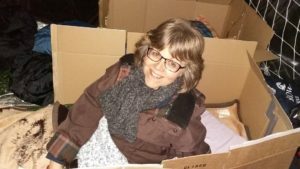 FirmFoundation’s Chair of Trustees beds down for the night – well done Anne! FirmFoundation’s Big SleepOut! Thank you to Harrow School and all of our volunteers. 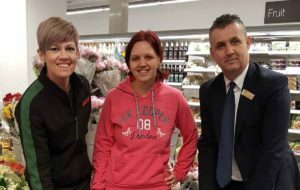 Thank you to Marks & Spencer in Pinner who are supporting FirmFoundation‘s drop-in’s. 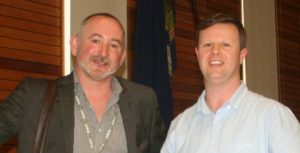 It was a pleasure to talk about FirmFoundation at the Rotary Club Northwick Park. Thank you for inviting us! 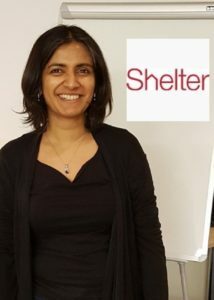 Rita Parma from SHELTER delivered training for organisations in Harrow through Harrow’s Single Homelessness Forum which is chaired by FirmFoundation. 5 Star dining at the Night Shelter. What a team! 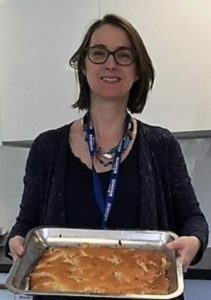 Thank you to St John’s Primary School in Stanmore who made this delicious desert for our guests at the Winter Night Shelter. What a treat! Bob Blackman MP for Harrow East dropped into the Shelter and chatted with our guests. We are looking forward to the implementation of the Homelessness Reduction Act in 2018 which Bob tabled as a private members bill. 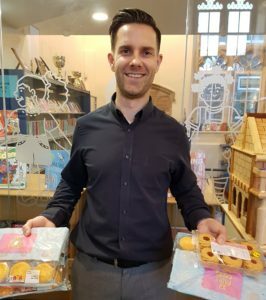 Thank you to Head Teacher Mr Deanus and the RSA at Roxeth Primary School for donating cakes for FirmFoundation’s Winter Night Shelter. 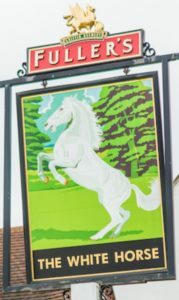 Thank you to Mags and the White Horse for donating items for the Night Shelter. 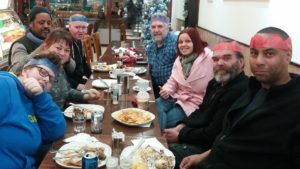 A fantastic evening from Will and the staff at Ancona in Harrow as they put on a meal for some of Harrow’s homeless. 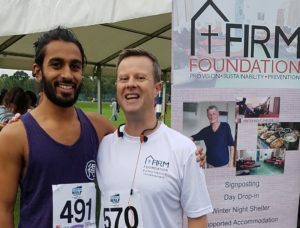 Fantastic help for FirmFoundation’s Winter Night Shelter. Great donations for our Winter Night Shelter! 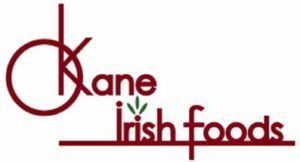 Thank you to Kane Irish Foods who have donated items for FirmFoundation‘s Night Shelter and Drop-in’s. 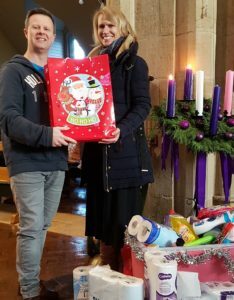 The children at St George‘s Primary School put on a wonderful Carol Service and brought donations for FirmFoundation’s Night Shelter and Drop-in’s. You were all amazing, thank you! 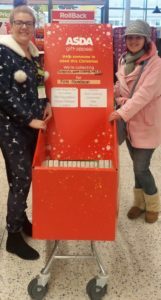 ‘Checkout’ this Christmas fundraising trolley from Asda! As well as raising money customers can donate items for FirmFoundation to use. Thank you Asda. 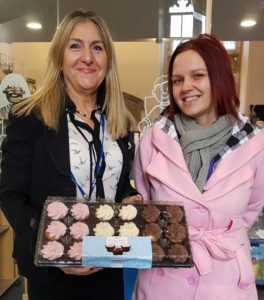 Well done to Roxeth Primary School for their Christmas Fair and thank you for donating cakes which made their way to our Drop-in! 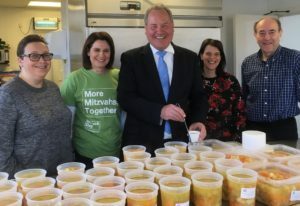 MP Bob Blackman serves up some soup from Stanmore and Canons Park Synagogue which made its way to FirmFoundation’s Day Drop-in. Thank you for all of your hard work! 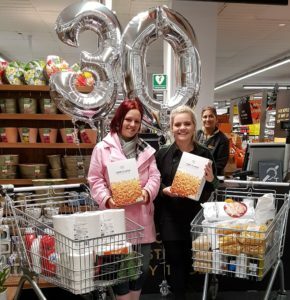 Congratulations to Marks & Spencer in Pinner on their 30th year. 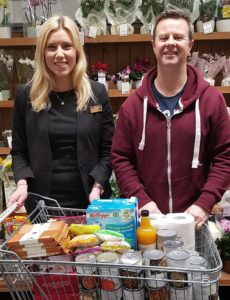 To help mark this they have donated five starter packs of food and house hold items. Thank you! 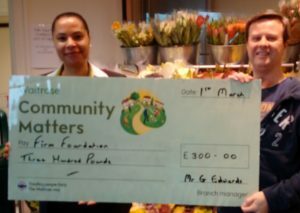 Thank you to Marks and Spencer in Pinner who continue to support FirmFoundation. Thank you to Cheryl who raised a fantastic amount for FirmFoundation selling plants and bulbs outside Sainsburys in Stanmore. 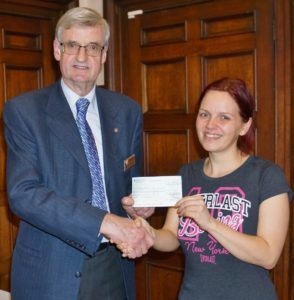 Well done to South Harrow Baptist Church for some wonderful fundraising! These shower packs will be used at FirmFoundation’s Day Drop-in. Well done to the 27th Harrow Scout Troop for raising funds for FirmFoundation and securing their ‘Fund Raising’ badges! 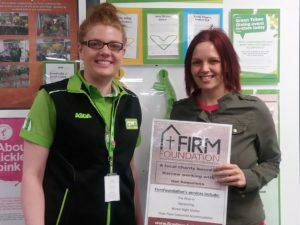 Thank you Asda in Ruislip for your help to hightlight homelessness! 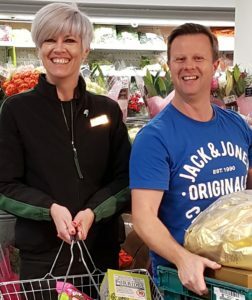 Thank you to Marks and Spencer’s in Pinner for supporting FirmFoundation and choosing us as their charity for the year! A huge thank you to the pupils and staff of Park High in Stanmore. Their 50’s event saw the students raise money for charities and the school. Well done! 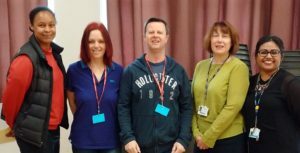 Comic Relief came to Film at FirmFoundation’s Night Shelter which was aired on the One Show on the 20th March 2017. Comedian Javone Prince pictured second from the left, spent some time with guests and listened to their personal stories. Thank you Comic Relief! 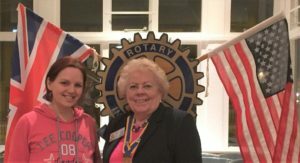 Malcolm Mitchell and FirmFoundation’s own Laura Lindores after speaking to the Pinner Golf Club about climbing Mount Everest and homelessness. Thank you to the Pinner Golf Club for their donation to FirmFoundation. 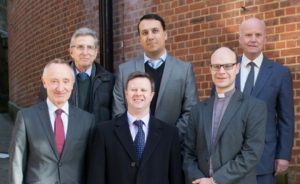 FirmFoundation trustees, staff at Harrow School’s Shaftsbury Enterpise and Harrow Development Trust. 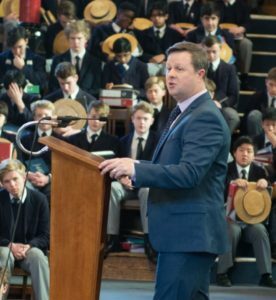 FirmFoundation’s manager thanks Harrow School for their support in choosing our organisation as their main charity this year. Thank you to the Pret Foundation for their support of the 2017 Winter Night Shelter. 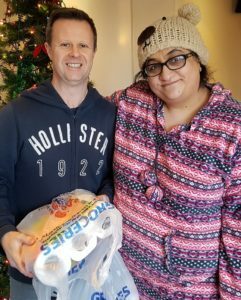 Great to welcome Giovanna at the Shelter for breakfast! MP Bob Blackman visits the 2017 Night Shelter and spends time with our guests. 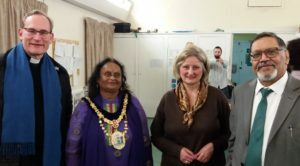 FirmFoundation was pleased to have Mayor Councillor Rekha Shah and her husband to the Night Shelter. They where joined by Revd. 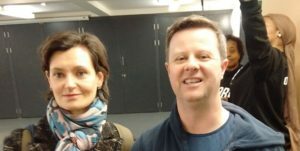 James Power and his wife as they chatted to guests. 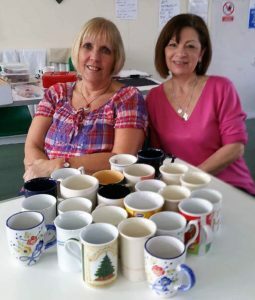 Thank you to Marion and Sarah from a local Social Club who have collected and given mugs for our starter packs for people moving into accommodation. Well done. 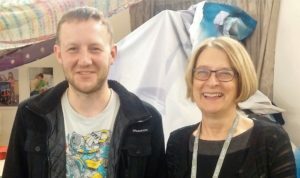 Steve tells Councillor Sue Anderson about his journey through the Night Shelter and into accommodation. 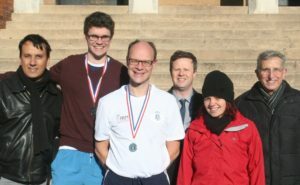 Well done to Belmont School. Teachers donated the money they would have spent on Christmas cards and gave it to the work of FirmFoundation. Once again folks at Elmfield Church have surpassed themsevles! 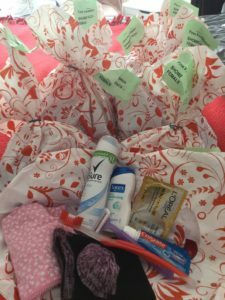 Each year Shelter bags are made up with toiletries, underwear and everything a person could need. 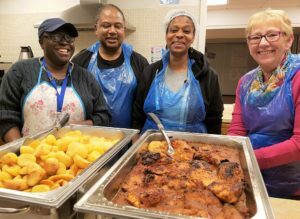 It is such a fantatic way to serve Harrow’s homeless. Thank you! 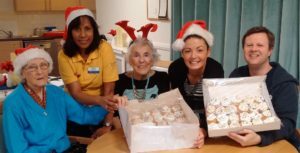 Thanks to Margaret, Sunita, Helen and Hollie, for some fantastic cakes pictured with our Charity Manager Julian, the residents from Rowanweald Care home a Sanctuary Care Home in Harrow Weald. The cakes will go to FirmFoundation’s day drop-in in time for Christmas. 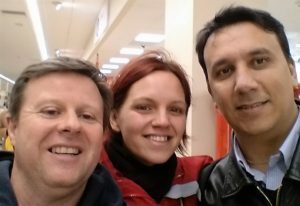 The FirmFoundation team grab a selife as Laura (centre) heads off for her monumental ascent of Mount Everest raising money for charity. We think you are amazing! 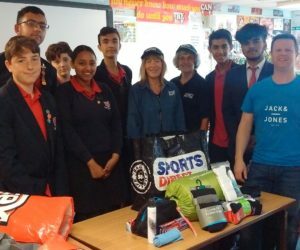 The pupils at Whitefriars Primary School have been collecting item for our rough sleepers to use at FirmFoundation’s Drop-in. 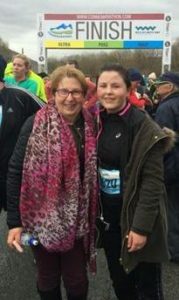 Our thanks to Louise Chuter pictured on the right. Belmont School worked hard to raise money which they turned into items for FirmFoundation‘s ’Starter Packs’. The items include crockery, towels cutlery etc, what a fabulous achievement, well done to the teachers and pupils. 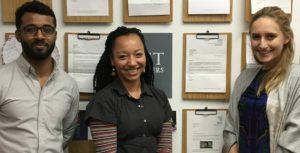 Julian Saunders (left) Deputy Head Ms Davies (centre) and Karl Berger (right). Natalie pictured here on the right of the picture, ran and raised money for FirmFoundation. 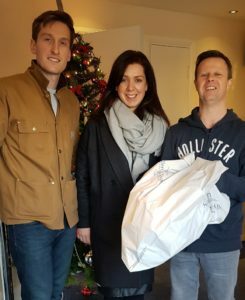 Natalie also volunteers at FirmFoundation’s Winter Night Shelter, we are really proud of your achievement and the difference the money raised by you will make to those who are homeless in Harrow. Well Done! Paulo created a piece of art with FirmFoundation’s logo on it. 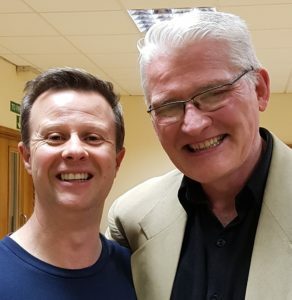 He is pictured here at the weekly Day Drop-in Service. Students from Nower Hill School in Harrow took part in the Alan Sennitt Trust who’s purpose was to develop leadership skills. 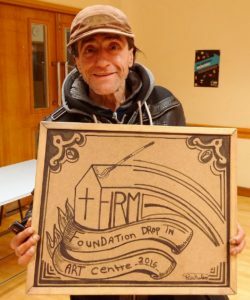 After choosing homelessness and after an initial meeting which included Harrow Street Pastors, the pupils had to apply for a grant and source the items that FirmFoundation could use for our clients. Very impressive – and a huge thank you. 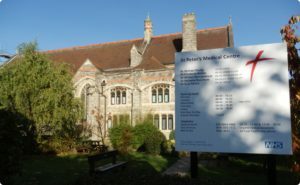 St Peter‘s Medical Centre teamed up with FirmFoundation’s Night Shelter to provide surgeries for our guests. 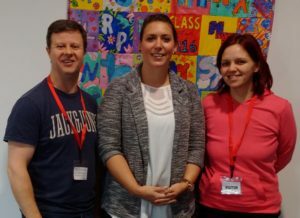 Well done to Whitefriars School and pupils for their projects focusing on homelessness. 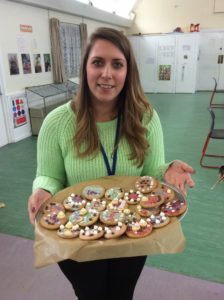 These biscuits were decorated by year 4’s and delivered to FimFoundation’s Winter Night Shelter. 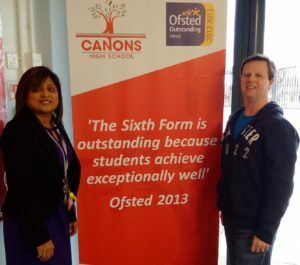 Thank you to Canons High School for inviting FirmFoundaiton to take part in their assemblies and for their contributions to FirmFoundation.